The ability to digitize images formed from glass slides has been a huge development in pathology. Large numbers of tissue samples on slides can be scanned and archived digitally. Digital images can now be sent instantly to remote locations making primary diagnoses and consultations for second opinions easier to obtain. 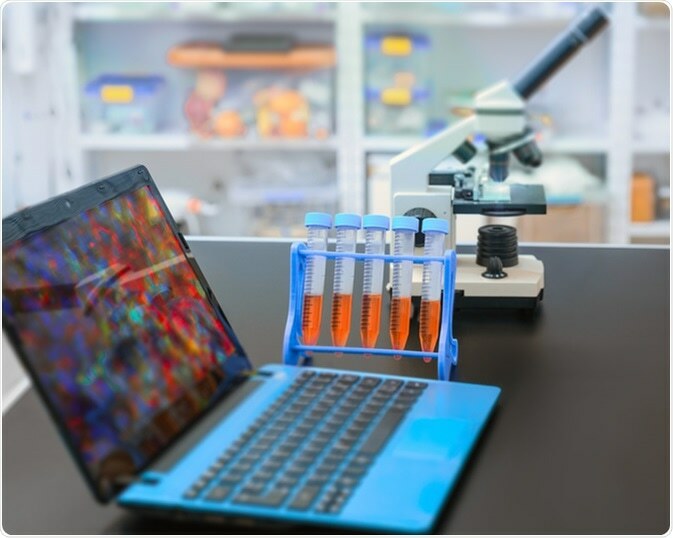 Moreover, digital pathology has aided research and education as example tissue slide images can be archived and used repeatedly. It should be noted that digital pathology is not yet widespread but advances in digital pathology may soon change that. A scanner is first used to digitize the glass slide, creating a large and representative digital slide. Specialized software is then required to view the digital image. The software is often called a virtual slide viewer. Prior to whole slide imaging, microscope-mounted cameras could only capture specific areas of the slide and therefore had limited clinical application. An early virtual microscope combined a robotic computer system to microscopy and was able to scan the glass slide to form a series of mosaic image tiles that could be compiled to form the full slide image. This application was limited by a lengthy scan time length. Modern whole slide imaging was formed by the utilization of automated, high speed image capture systems. Glass slides can now be scanned in less than a minute and produce high resolution digital images. Furthermore, whole slide imaging technology can be automated with continuous processing. This means that a slide can be uploaded whilst another is being scanned. The labelling of slides is also made easier as the scanners are able to read one and two dimensional barcodes that can be added to glass slides. Some modern whole slide imaging systems can digitize slides at various vertical focal planes so that there is no loss of precision in comparison to the fine focus control of a standard microscope. Recent advances in digital pathology have been used to develop histologic image based diagnostic tests for diseases such as cancer. Because differences in the molecular expression of a disease can be observed in the architecture of the tissue and alterations to the nuclear morphology, whole slide imaging technology has been used to develop automatic tissue classification, disease grading and diagnostic tests. Digitizing the analysis of slides can utilize features of the tissue that are not visually discernible by a pathologist. Digital images of biopsy tissue specimens can be mined for image features that can help in the prediction of disease status and its aggressiveness. Computer-extracted image features could therefore aid in the choice of escalating or deescalating treatments. Advances in digital pathology techniques for quantifying image feature modelling involve either a handcrafted feature approach or an unsupervised feature approach. The handcrafted feature approach involves choosing image features, such as nuclear gland shape and size as well as tissue texture, to categorize images from a number of diseases. For the unsupervised feature approach a deep-learning method is required. This means the computer learns image feature patterns that can be used to quantify features from the slide image. It requires a large amount of training data and is less intuitive than the handcrafted feature approach. The complex algorithms involved also require that there are few variations in the quality of digital images produced. Increased depth information is aiding this immerging field through new 3D whole slide scanners. Adding a further dimension to the data produced will enable more detailed and efficient approaches to the analysis of digital slides. Pathology - What is Pathology?